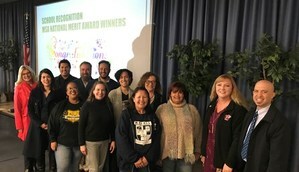 LOS ANGELES (March 7, 2018) - Twelve of L.A. Unified’s popular magnets have been recognized for their innovation and exceptional academic performance by Magnet Schools of America (MSA), which represents nearly 4,000 theme-based programs across the U.S. 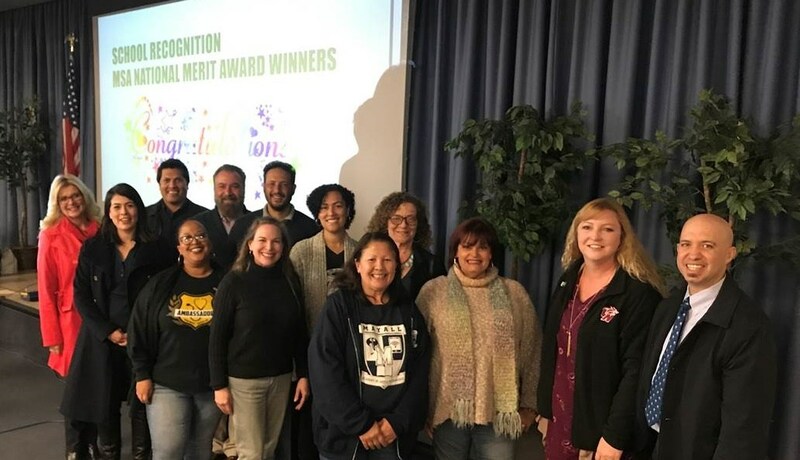 The schools will be honored in April at the organization’s national convention for their commitment to promoting academic achievement, racial and socioeconomic diversity, creative instruction and community partnerships that enhance the programs’ themes. Created in the 1970s as the heart of the District’s court-ordered desegregation program, magnets are now among the most popular choices, with instructional themes that align to students’ interests. There are currently 225 magnet programs, enrolling approximately 80,000 students. “Over the past four years as director of the magnet programs, I have had the honor of observing, participating with and engaging in conversations with magnet leadership throughout the country,” said Keith Abrahams, executive director of Student Integration Services for the Division of Instruction. “L.A. Unified continues to serve as a national model through our development of an extensive, sophisticated portfolio of magnet programs that project texture and depth. This recognition is a testament to the academic excellence and high standards present in our District. As MSA winners, five magnets have been recognized as Schools of Excellence, the highest honor given by the organization. Seven others received honors as Magnet Schools of Distinction. John Burroughs Middle School Gifted/Highly Gifted/High Ability Magnet: Supported by a high-achieving learning environment, students participate in an enriched curriculum that includes theater, orchestra, robotics, and coding classes. Rudecinda Sepulveda Dodson Middle School Gifted Magnet: An interdisciplinary academic environment encourages academic growth, allows for individual difference and fosters the development of positive self-concept. The program includes laboratory experiences, writing and team-building opportunities and computer projects. Downtown Business and STEM Magnets High School: The nationally acclaimed Gold Ribbon campus features pathways in fashion, business, computer science, engineering, digital arts and an International Baccalaureate program. Ernest Lawrence Middle School Gifted/Highly Gifted Magnet: The program provides differentiated instruction designed to prepare students for honors and Advanced Placement classes in high school. It balances creative learning activities with structured lessons that equip students with the skills that are essential for academic success. Van Nuys High School: Through three separate magnets, students receive diverse, interactive and comprehensive high school experiences while pursuing their interest in performing arts, medicine or math and science. Cleveland Charter High School Humanities Magnet: Students are exposed to a holistic learning experience with educational disciplines that support and enhance each other. This is the seventh consecutive year that Cleveland has been honored by MSA with a National Merit Award. Franklin Science, Technology, Engineering, and Mathematics (STEM) Magnet: The program provides personalized instruction that supports students in their pursuit of a strong STEM education. This is the third year the magnet has received a National Merit Award. King/Drew Magnet High School of Medicine and Science: The 35-year-old program remains committed to providing students with a first-class education that supports their interest in health and science careers. Administrators maintain that justice in health care must come about through equal opportunity founded in a rigorous education. Mayall Street Academy of Arts and Technology Magnet: The schoolwide magnet focuses on providing academically rigorous instruction in an arts- and technology-infused environment. Melrose Elementary Math/Science/Technology Magnet School: The 6-year-old program utilizes a STEAM curriculum and project-based learning to support academic growth and critical-thinking skills. Melrose has also been named a California Distinguished School. Orthopaedic Hospital Medical Magnet High School: Through key strategic partnerships students are exposed to the medical and biotechnology field by engaging with guest speakers and conducting experiments in medical facilities. Reseda High School Police Academy Magnet: Students receive a tough physical training regimen in addition to a rigorous academic curriculum. Law-enforcement officers co-teach in the classroom, so students receive authentic career training and relevant college preparation. “Our magnets are part of LA Unified’s diverse and high-quality options for families, helping to ensure that every child can get a great education,” said Board Member Kelly Gonez. “Congratulations to all of our magnets that have been recognized, and especially to Van Nuys and Reseda High schools in my board district, for their exceptional programs. Excellent work!